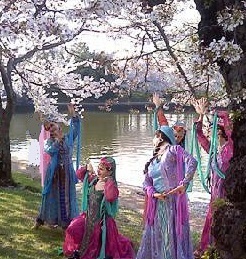 Stay current with out NOWRUZ EVENTS! Spring is just around the corner and so is Nowruz (also known as Navruz), the ancient celebration of the New Year observed at the Vernal Equinox and part of many Silk Road cultures. Silk Road Dance Company has a full slate of performances in March, so we hope you can join us for at least one of these joyous events. celebrating the color and excitment of the Indian film industry.